← Why was FBI Agent Jim Clemente assigned to the Vince Foster death investigation? 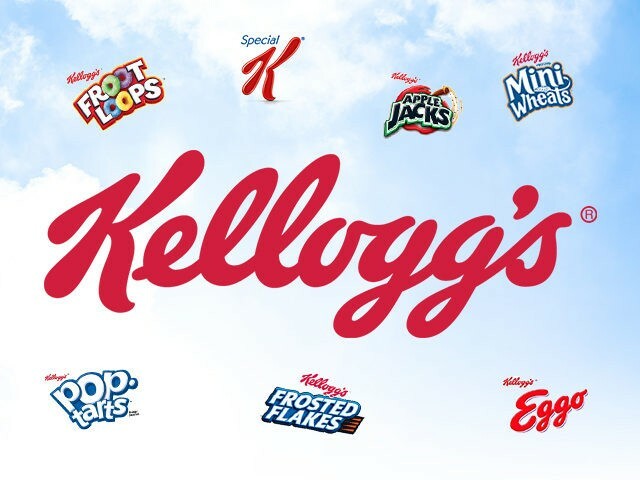 Kellogg Co. announced on Tuesday its decision to pull ads from conservative media giant Breitbart.com because its 45,000,000 monthly conservative readers are not “aligned with our values as a company.” In response, Breitbart News, one of the world’s top news publishers, has launched a #DumpKelloggs petition and called for a boycott of the ubiquitous food manufacturer. The decision by Kellogg’s, which makes Pringles, Eggo waffles, as well as Special K and Frosted Flakes cereals, among others, will make virtually no revenue impact on Breitbart.com. It does, however, represent an escalation in the war by leftist companies like Target and Allstate against conservative customers whose values propelled Donald Trump into the White House. Kellogg’s offered no examples of how Breitbart’s 45 million monthly readers fail to align with the breakfast maker’s values. Indeed, the move appears to be one more example of an out-of-touch corporation embracing false left-wing narratives used to cynically smear the hard working Americans that populate this nation’s heartland. 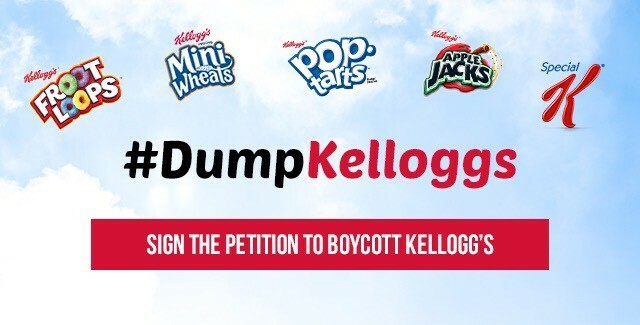 In response, Breitbart launched its #DumpKelloggs petition to encourage its vast readership and the followers of its #1 in the world political Facebook and Twitter pages to ban bigotry from the breakfast table by boycotting Kellogg’s products.